Cat eyeliner has got to the most unpredictable thing in makeup. You never know what shape you'll end up with. One wrong move & you'll have to think of ways to make it look right. I thought I'd share with you how I've been doing mine, because I think it's almost mistake-proof. 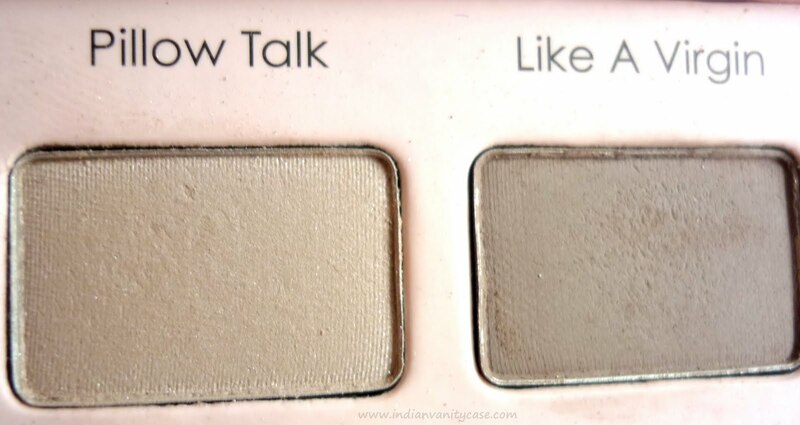 Apply eyeshadow on lid. Here I used a very light shade (TF Pillow Talk shown below). Start lining from center of lid towards the outer corner, stop after drawing 1/2 " or so- as shown. Continue to line straight out. Make sure the end doesn't exceed the end of your eyebrow tail. Now join the end of the line to the outer end of your eye. 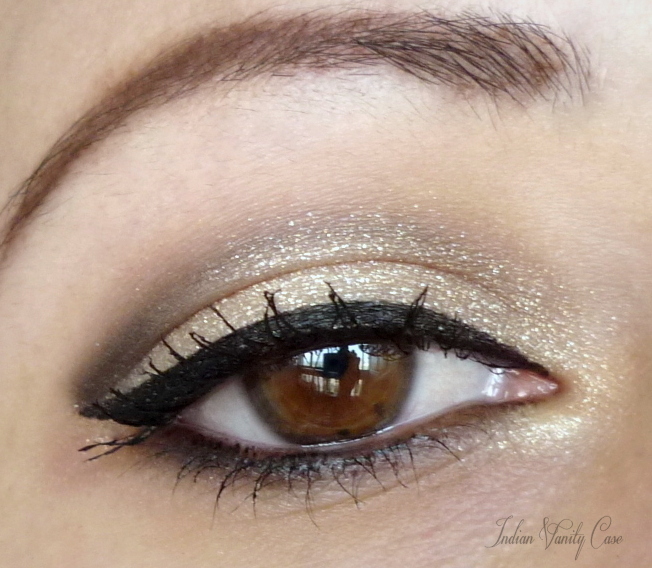 Line the rest of your eye starting from center to the inner corner. Try to make it thinner as it goes in. 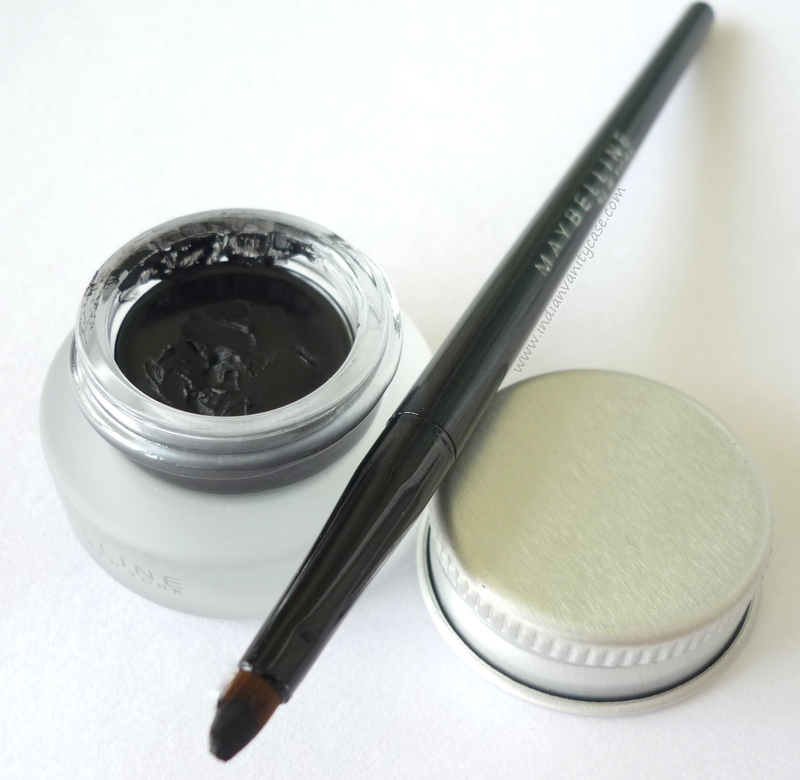 *It's up to you whether you want to line the lower lash line or not. I prefer to do it. 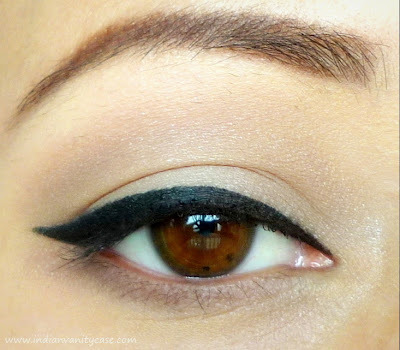 Wowwww..such a lovely perfect liner....Great tutorial Cynthia!!!! I like the cat eyeliner! 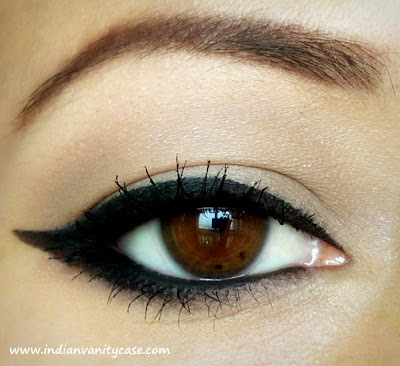 loving the liner.. n your eye looks gorgeous, now you've convinced me to buy the maybelline eyeliner! Cali- Thanks! Glad u liked. Black's come so rich n dark! Looks superbly striking against ur brown brows and eyes! Pretty! ^.^ Btw, d u think if i use black shadow/ pencil using a feathery touch on my brows, it'd look stark? I've black/brown brows and deep brown-to-black eyes. That is actually perfect CZ! So pretty & done so very neatly.. This is a wonderful post, thanks for sharing! ilovecooking- Black always looks too harsh even on black brows. 2 shades lighter than your natural hair is better. Pick medium brown instead. Thnks Cynthia...I would have hugged you tight for this tutorial...I have ended up with a "black eye" every time I attempted d cat-eye... Now I knw better!! Super neat, and super clear picture CZ !!! Wow. well done! Love it. it was such a innovative yet simple way to do winged liner ! Wowiee!! I am super happy to see this...i've been trying ti do this since so long and somehow ant seem to do it so cleanly...infact i hv a query ...i never quite manage to do both eyes exactly the same..any tips? Thank you!!! it seems easy in that way!!! Very beautiful and yet simple! I must try this liner look out...thanks! this is just SOOOOO AWESOME honey and god how many praises more CZ ??? Im gonna try this....thank you for the wonderful tute. Zara- They rarely look the same, but it helps if you do both eyes simultaneously. Meenu- Try not to pull yr eye area, but it's better to pull (gently) than make a mistake. I keep my eyes open when lining. Rashmi- aww...thank u dear :). Ur too kind. Thank u all for the comments. Happy u liked the tut. Cynthia, this was brilliant. I'm going to have to try this out. 8D Yay I know what tightlining is! hi! can u help me on how to draw eyeliner on big eyes?i have big eyes and i want to know the best wear to apply eyeliners..
Beautiful eyebrows as well! Thank you for this tutorial! This is great! What brush did you use? is maybelline gel liner used in picture 1 and 2 as it is used in picture 6? the eye liner used in picture 1 and 2 looks much thinner than maybelline lasting drama gel liner. please reply. i rally want to try this style. its awesome! 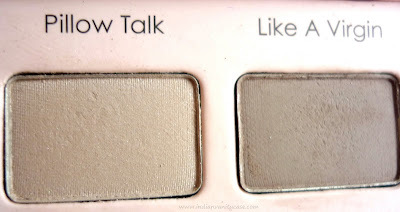 is maybelline gel liner is used in picture 1 and 2 too? the liner looks much thinner in picture 1 and 2 than maybelline gel liner used in picture 6. please reply. i really wanna do this style its awsome. Your eyes are so beautiful! My eyes are also hooded and, after I did them following your directions, they came out perfectly. Thank you for showing me a much easier way to do this! I tried this today and can't believe how easy you made it. Thanks for sharing! 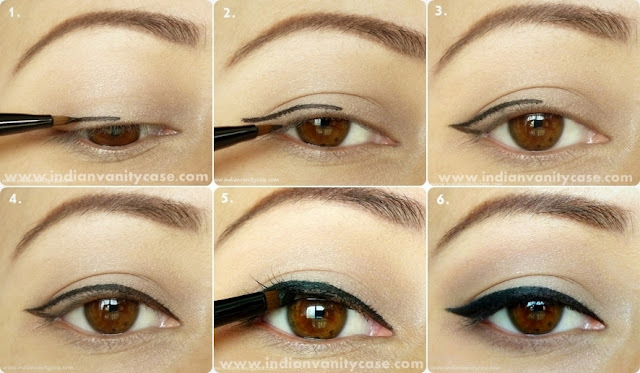 Very helpful tutorial.Specially the Cat eyeliner!!!!!!! Will absolutely try this. You have the most amazingly helpful and useful tutorials. Thank you! This is so hot! Love the tutorial! This is awesome, I'll certainly try this. Great blog and thanks for sharing this post here. I was actually looking for something like this from long. Glad I found it here. Very useful and informative.